My teaching career began in archaeological field contexts. I have taught archaeological field methods to middle school students, high school students, and adults at Crow Canyon Archaeological Center in Cortez, CO, and the Wakefield Summer Institute in Milton, MA. Teaching in the field gives me the opportunity to work closely with students and to share the everyday work of archaeology. I have also taught archaeology college classes. During Summer 2017, I am teaching Great Discoveries in Archaeology at Boston University. This course provides an introduction to world civilizations. My version of it focuses around three themes: the earliest archaeological record and its preservation, social differences in the past, and archaeological heritage issues. Check out my course website to get a sense of what sites and cultures we're studying! 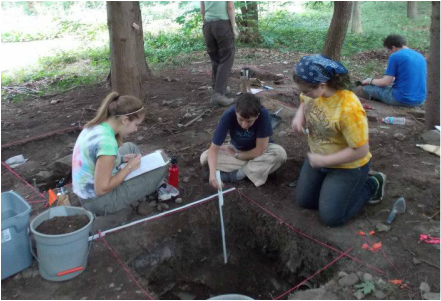 In previous years, I have served as a teaching assistant for this course and the Introduction to Archaeology courses at both Boston University and Wesleyan University.